Here at KES Facilities we have a Leeds based team ready and waiting to meet all your Commercial Catering needs. We have engineers for installation, servicing or emergency repairs, so whatever your needs, we’ll have you covered. Our engineers have vast experience dealing with commercial equipment, from cookers to glass cleaners, and we’re sure we’ll be able to meet your needs whatever equipment you require. 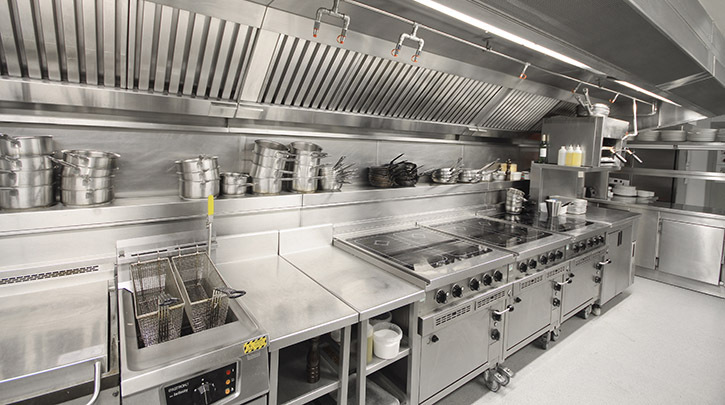 We also specialise in bringing your commercial kitchen up to regulations including dealing with issues such as noise nuisances and odour control. This includes exhaust systems which can be made fully compliant and can be fabricated to your specific requirements.